Funding will not be going away for science, the humanities, and the arts. Congress, not the president, has the final say on funding levels, and Donald’s proposal is already facing stiff resistance from members of both parties, across a wide political spectrum. With elections less than two years away for many of them, even the dimmest bulbs in Congress will likely think twice before cutting popular, and relatively inexpensive, programs. Consider the impact on the economy of eliminating millions of jobs in these fields, not to mention the countless billions of dollars that will be lost by providers of associated goods and services. Bringing back some dead-end assembly-line work (which is rapidly being automated out of existence anyway) and creating short-term, low-paying “infrastructure” jobs will not be nearly enough to offset those losses. What we have here is just more divide-and-conquer grandstanding by a president who did not win the majority of the popular vote, and who is already proving himself to be ineffectual at his job. Don’t panic. 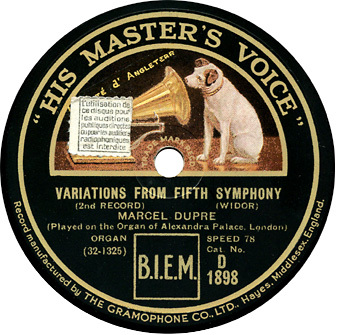 In the offing are Brunswick-Vocalion and (on Mainspring’s part) the complete American Record Corporation output, among many other projects. Data are obtained from original company documentation, material licensed from Greenwood Press and Mainspring Press (including our extensive William R. Bryant / Record Research Associates archive), and other trusted sources, and they undergo careful proofing and fact-checking by DAHR’s expert staff. Another nice touch — The listings contain links to the Library of Congress’ “National Jukebox” sound and label-scan files, when available. The library has already digitized more than 10,000 early Victor records, which can be heard in streaming format. Clearly, this is the future of discography, and Mainspring is pleased to be a contributor. We hope you’ll visit the site often! Walter Miller, whom Edison addresses at the beginning of the recording, was largely responsible for Edison’s recording operations until the phonograph division’s closure at the end of 1929. The corresponding Diamond Disc release (which originally was sold in a specially decorated box) was # 50509. 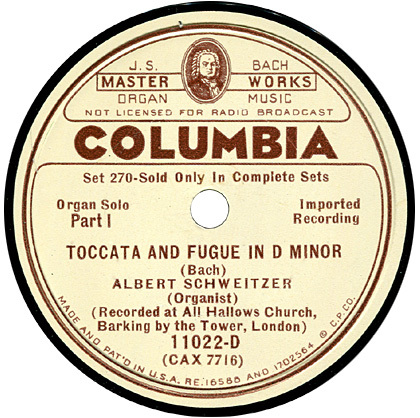 Blue Amberol 3756 was released in June 1919; in 1926 the cylinder was remade, using the same catalog number and dubbed from the same disc maters, but adding a band excerpt dubbed from the reverse side of the disc. An except from the first “Edison Hour” broadcast aired, over WJZ on February 11, 1929, and captured at Edison’s Columbia Street studio in Orange, New Jersey. 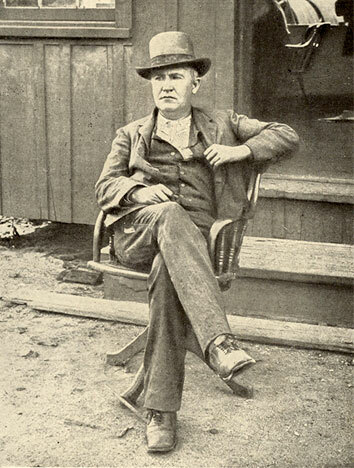 The broadcast celebrated the birthday of Thomas Edison, who spoke briefly via relay from his home in Fort Myers, Florida. Click to hear additional excerpts from the broadcast.